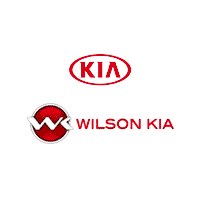 At Wilson Kia, we carry a large inventory of vehicles under 10k. If you’ve been looking for used car specials near Jackson, you’ll find plenty to love here. Browse our inventory below! This 2000 Mitsubishi Galant ES in features: FWD Clean CARFAX.Come look it over in person at Wilson Auto Group on Lakeland Drive in Rankin County near Dogwood Festival Mall. Go to our website at https://www.wilsonautogroup.com Or call us right now at (601)914-4200 Buy HAPPY...its the Wilson Way! This 2001 Acura TL 3.2 in Satin Silver Metallic features: FWD Priced below KBB Fair Purchase Price!19/29 City/Highway MPGCome look it over in person at Wilson Auto Group on Lakeland Drive in Rankin County near Dogwood Festival Mall. Go to our website at https://www.wilsonautogroup.com Or call us right now at (601)914-4200 Buy HAPPY...its the Wilson Way! This 2000 Buick LeSabre Custom in Titanium features: FWD Clean CARFAX.19/30 City/Highway MPGCome look it over in person at Wilson Auto Group on Lakeland Drive in Rankin County near Dogwood Festival Mall. Go to our website at https://www.wilsonautogroup.com Or call us right now at (601)914-4200 Buy HAPPY...its the Wilson Way! This 2002 Chevrolet TrailBlazer LS in Light Pewter Metallic features: RWDAwards:* NACTOY 2002 North American Truck of the YearCome look it over in person at Wilson Auto Group on Lakeland Drive in Rankin County near Dogwood Festival Mall. Go to our website at https://www.wilsonautogroup.com Or call us right now at (601)914-4200 Buy HAPPY...its the Wilson Way! This 1999 Ford F-150 Work Series in Toreador Red Clearcoat Metallic features: RWD LOCAL TRADE!, Buy Happy!...its the Wilson Way!. Clean CARFAX.Come look it over in person at Wilson Auto Group on Lakeland Drive in Rankin County near Dogwood Festival Mall. Go to our website at https://www.wilsonautogroup.com Or call us right now at (601)914-4200 Buy HAPPY...its the Wilson Way! This 2001 INFINITI G20 in features: FWD Clean CARFAX.Come look it over in person at Wilson Auto Group on Lakeland Drive in Rankin County near Dogwood Festival Mall. Go to our website at https://www.wilsonautogroup.com Or call us right now at (601)914-4200 Buy HAPPY...its the Wilson Way! This 1998 Mercury Grand Marquis LS in Silver Frost Clearcoat Metallic features: RWDCome look it over in person at Wilson Auto Group on Lakeland Drive in Rankin County near Dogwood Festival Mall. Go to our website at https://www.wilsonautogroup.com Or call us right now at (601)914-4200 Buy HAPPY...its the Wilson Way! This 2004 Nissan Titan in features: RWDCome look it over in person at Wilson Auto Group on Lakeland Drive in Rankin County near Dogwood Festival Mall. Go to our website at https://www.wilsonautogroup.com Or call us right now at (601)914-4200 Buy HAPPY...its the Wilson Way! This 2006 Chevrolet TrailBlazer LS in Summit White features: RWD Odometer is 31323 miles below market average!Come look it over in person at Wilson Auto Group on Lakeland Drive in Rankin County near Dogwood Festival Mall. Go to our website at https://www.wilsonautogroup.com Or call us right now at (601)914-4200 Buy HAPPY...its the Wilson Way! This 2006 Honda Accord in Gray features: FWD Clean CARFAX. 24/34 City/Highway MPG Come look it over in person at Wilson Auto Group on Lakeland Drive in Rankin County near Dogwood Festival Mall. Go to our website at https://www.wilsonautogroup.com Or call us right now at (601)914-4200 Buy HAPPY...its the Wilson Way! Whether it’s a used Kia or a used model from a different auto maker, you’ll find everything you’re looking for on our lot. Our Kia dealership in Flowood is full of great used cars, experienced and friendly staff, and an expert finance department. From finding the right car, to purchasing and financing it, we’re your one-stop shop! Find out what good mileage is for a used car, and don’t hesitate to contact us online, or visit our Kia dealership near Brandon if you have any questions or concerns.